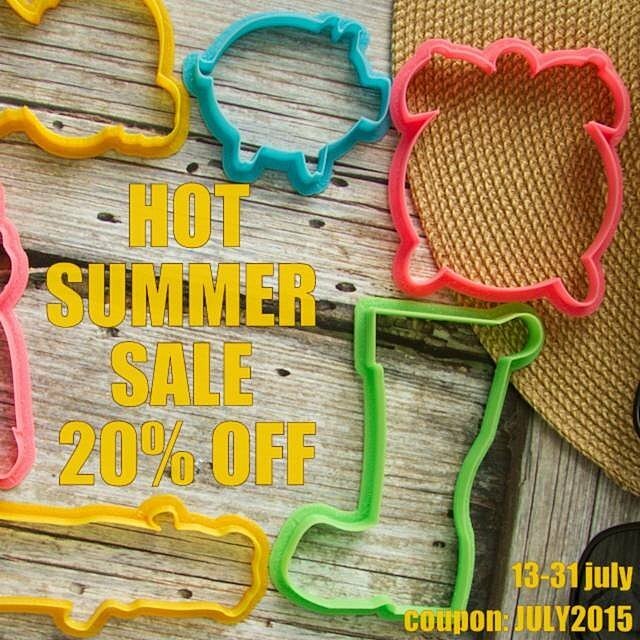 Lubimova Ann cookie cutters Blog » Hot summer sale on cookie cutters: 20% OFF ! Hot summer sale on cookie cutters: 20% OFF ! It is half of the summer, and we can already offer you great products at a great price! Only until the end of July you can get an unprecedented discount of 20% on all collections of cookie cutters from the experts lubimova.com, including NEW PRODUCTS! Rejoice yourself and have fun shopping!